Nightwatch fully illuminated display. SoundTraker system cuts noise up to 90%. 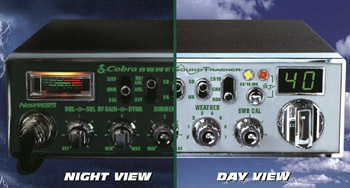 **40 CB channels **7 noaa weather channels **9' microphone cord **nightwatch dimmer control **front panel microphone connector.